Reading is the single most important skill for any child to develop. And the key to learning how to read effectively is recognizing the sounds that letters and words represent. With the help of the revolutionary system known as Phono-Graphix, "TM" you and your child can discover the sound-picture code that is the foundation of the written English language. Steve Truch director of The Reading Foundation The authors have done parents everywhere a great service. 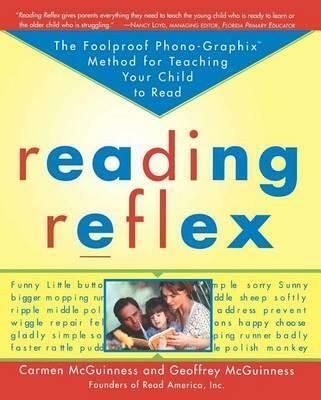 This book contains a well-researched and logical system of teaching children to read. It will go a long way in helping to meet the literacy challenge of the 21st century. Carmen and Geoffrey McGuinness are the co-founders of the Read America clinic and developers of the research-based Phono-Graphix(TM) reading method. They have trained and certified thousands of reading specialists and classroom teachers in the United States, Great Britain, and Canada in this method, and they often speak and write for various teaching, parenting, and research associations. They live in Orlando, Florida.